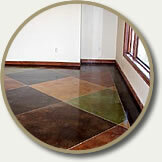 Bomanite of Wisconsin was established in 1987 with the mission of creating beautiful concrete. With the help of the Bomanite Corporation, Bomanite of Wisconsin has set the standard for architectural concrete in Northeastern Wisconsin. The focus for Bomanite of Wisconsin has always been to create functional and beautiful architectural concrete that exceeds the customer’s expectations. Bomanite of Wisconsin follows the specifications and processes set by the Bomanite Corporation. No other companies can promise the consistency and high quality that Bomanite Licensees can. This is because of the one-of-a-kind network of licensees that the Bomanite Corporation has built. There is no other network like it in the decorative concrete industry that provides its members with the knowledge, processes, and resources that the Bomanite Corporation provides for its licensees. 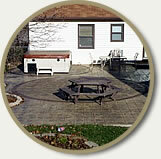 Therefore, by choosing Bomanite of Wisconsin you can be assured that your project will turn out a success.